Photo by Mnolf. Creative Commons. I haven’t written much lately, because I’ve been busy transcribing ship logs, listening to bat calls, and squinting over ancient papyri on Zooniverse. It’s a virtual gathering place for more than 700,000 citizen-scientists and seasoned scholars. You don’t need an advanced degree to help one of a dozen research projects promoted on the site. I originally went on this site to check out a project called Planet Hunters at the recommendation of my husband. An archaeologist who blogs at AmazonWalker, he knows more about ceramics from the Bolivian Amazon than astronomy. But he was excited to get an email this month announcing that Planet Hunters (a collaboration between several organizations, including Yale University, and thousands of volunteers like himself) had discovered its first confirmed planet. The gas giant, a little larger than Neptune and located 5000 light years from Earth, appears to orbit two stars in a four-star system. I was afraid of bats as a child. Even the Count on Sesame Street scared me. As an adult, I’ve managed to put aside my fears of blood-sucking vampires (and pointy-eared muppets) to appreciate the real bats—some 1,200 different species—that populate our skies at night. So I was eager to join Bat Detective. This project of University College London and Bat Conservation Trust seeks to gather information from thousands of hours’ worth of bat calls recorded throughout Europe. The calls are picked up with ultrasonic microphones and turned into sonograms for analysis. After a brief tutorial, I was ready to get started. I would need to highlight the sound I was classifying on the sonogram and decided what kind it was (or if it even belonged to a bat). I soon realized that the sounds I was expected to classify were more complicated than the ones provided on the tutorial. For example, a three-second sound clip might contain a feeding bat call, with insect buzzing or the drone of a distant car motor in the background. As a human, I was supposed to be better at telling these apart than a computer. But was I? And how was I to account for variations in the calls of different bat species? 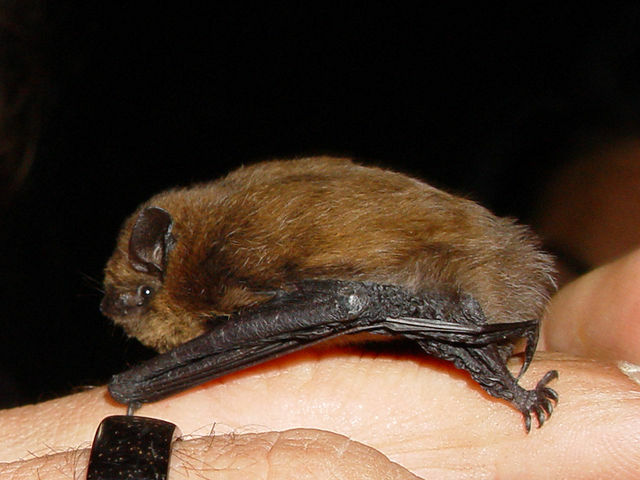 After all, a common pipistrelle sounds different from a greater horseshoe bat. I went to bed feeling a little batty myself. Did my ears need cleaning out? Worse, was I messing up the project data? The next day I decided to take a break from bats and step back in time. Logs from the U.S.S. Concord and other ships are used to collect old weather data. Photograph by Edward H. Hart, 1893. Library of Congress. I love old documents and was excited about the prospect of examining 19th- and early 20th-century ship logs. By recording the weather of the past, scientists involved in this project hope to make better climate predictions for the future. Ship records are especially important because oceans make up 70 percent of the earth’s surface, and ships traveled to parts of the world for which we don’t have much historical weather data. Feeling reassured about my prior work on the bats, I reported for duty on the U.S.S. 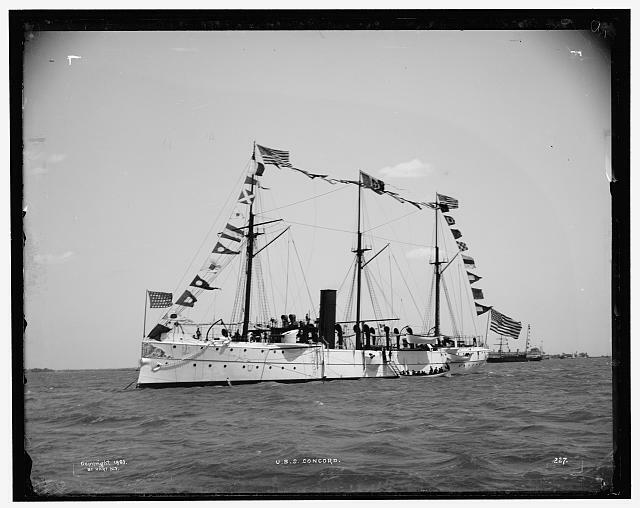 Rogers, a steam whaler commissioned in 1881 to search for the U.S.S. Jeanette, which was stuck in the ice in the Bering Strait. I was a low-ranking research “cadet.” But if I logged enough hours, I might get promoted. As I got my sea legs, I discovered that ship logs contain a lot of data, from hourly weather observations to refueling records to accounts of animals–some of it in cramped cursive handwriting. Then there were these odd four-letter weather codes, which I could barely read. If I didn’t know the lingo, how could I enter the data correctly? Was I destined to be a research cadet forever? My hand started to cramp from typing. Maybe it was time to chart a course for land. What if there was something I could do more quickly, I wondered. As a writer and editor used to spotting typos, I thought I’d do a good job finding Greek characters on ancient papyri. My assignment here seemed straightforward: I would click on a character on the papyrus fragment and find the Greek match for it on a keyboard displayed on the same screen. Then I was to measure the margins, providing information that researchers could use to figure out which scraps fit together. 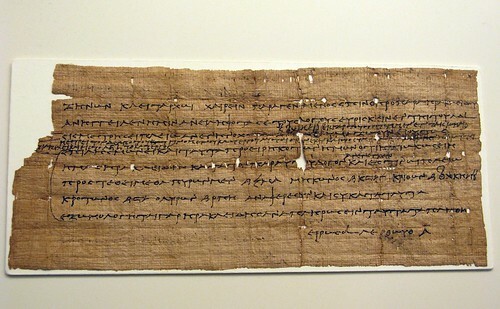 Papyrus in Greek, from the National Archaeological Museum, Athens. Photo by Tilemahos Efthimiadis. Creative Commons. The problem is that many of the documents—torn, faded, or smeared—look like homework after the proverbial dog ate it. (That’s understandable; after all, the papyri were unearthed a century ago, in an ancient garbage dump outside the deserted Graeco-Roman town of Oxyrhynchus in central Egypt.) Even when the ink was clear, I kept coming across characters that didn’t seem to match anything. I went on the Ancient Lives blog to see what I was doing wrong. (All these projects use some discussion board or blog to deal with questions that come up, and they’re very helpful.) It turns out there were at least a few reasons for my confusion: The papyri contain many abbreviations, and, in cursive writing, many of the letters are simplified or joined together in a way that’s hard to read—even for the experts. It was still all Greek to me, but perhaps if I stuck with it, things would get easier. After my short experiment with Zooniverse, I’ve concluded that I’m probably not doing any damage. On the other hand, I might be more helpful if I focus on one project and become familiar with its terms and methodology. Being a good citizen-scientist just takes a little practice. All of these projects are exciting and deserve support. Now I have to decide if it’s the sea that is calling me, or a greater horseshoe bat. Or the ancient Greeks. This entry was posted in Uncategorized and tagged bats, citizen science, climate change, crowdsourcing, environment, greek papyri, naval ships, Planet Hunters, research, ship logs, U.S.S. Jeanette, U.S.S. Rodgers, weather, Zooniverse by Susan Frith. Bookmark the permalink.